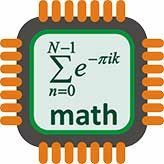 Today, a coalition of non-profit education and education technology organizations launched a national initiative to transform student attitudes about math. Developed under the leadership of Amazon Education and TenMarks, “With Math I Can” challenges the nation’s more than three million teachers and their students to take the pledge to replace the notion of “I’m not good at math” with “I am working to get better at math.” Supporters of the “With Math I Can” movement include Stanford University Professor of Mathematics Education Jo Boaler, Character Lab, Common Sense Education, National Council of Teachers of Mathematics (NCTM), Stanford University’s Project for Education Research that Scales (PERTS), ClassDoJo, ASCD, and Teaching Channel. Teachers and students can learn more, watch a video, access resources, and take the pledge at www.withmathican.org. “With Math I Can” asks teachers and students who take the pledge to replace saying, “I’m not good at math” with statements like, “I will learn from my mistakes” or “I will persevere through challenges in math.” The initiative is supported by a website (www.withmathican.org), a video that highlights the need for a growth mindset around math, and a set of free resources for teachers to use with their students to make a change.